Lets be honest. As worship leaders, how expectant are we of God to move in our worship services? Do we really approach them expecting God to do miracles? Do we think God could prompt someone who has never ever lifted their hands to Him to suddenly surrender and raise their hands in worship? Would God really have in mind to physically heal someone while we are singing? Could God actually save the outcast, break the hardest of hearts or bring radical change in a marriage? Sure, we may gather and pray as a team a few minutes before the service starts and maybe even at rehearsals, but when we pray, how truly expectant are we that God will move? Do we continually come with great expectation Sunday after Sunday, or do we tend to fall into the groove of just doing what we do and actually become more concerned with how things looked and sounded? I do not come today swinging in judgement at my fellow worship leaders. I am writing from a place of broken humility and I simply want to share a challenge that God laid before me a couple years ago through the voice of one of my team members. We were in a vocal rehearsal discussing how it seemed our congregation had sort of fallen into a slump of not really engaging in worship on Sunday mornings. We asked, “Is our stage presence not inviting enough? Could the music be too loud or too soft in the house for people’s taste? Are we introducing too many new songs too frequently? Is the style of songs we are choosing not resonating with the culture of our church?” All were important questions for sure. However, during that discussion one of my vocalists Kari Honea said, “You know one of the things I’ve noticed is that church leadership and worship teams will spend a ton of time in prayer for big church events like youth camps, women’s events, conferences, etc, but we don’t spend near as much time in earnest prayer for Sunday mornings.” I was punched right in the face with that! Why DON’T we spend as much time in earnest prayer and expectation for one of the most consistent and powerful times that God has ordained for ministry to happen, a Sunday morning service? Do we perhaps slip into a mindset of ordinary routine? It is so very easy to do. 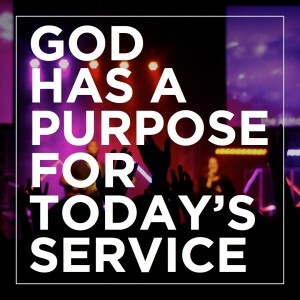 Not long after that first challenge, I heard Kim Walker-Smith of Jesus Culture say in reference to each opportunity they have to step up and lead worship, “God has a purpose for today.” I was punched in the face yet again. How often had I not approached Sunday worship services with that mindset? 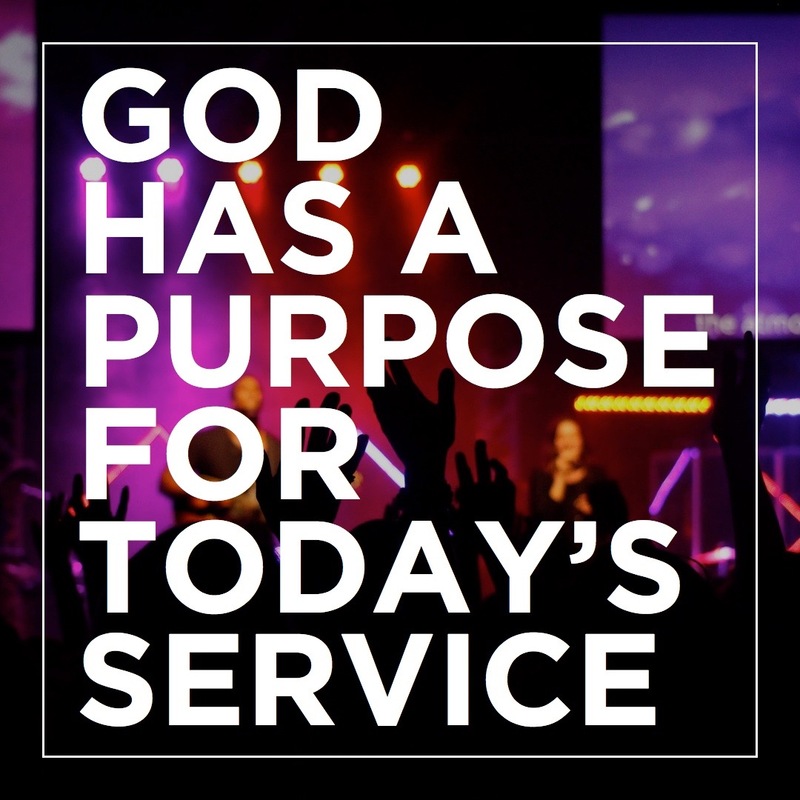 God has a purpose for today’s service. If He doesn’t, why are we meeting? “This is the day that the Lord has made,” (Psalm 118:24), so I would venture to say its because God has a big purpose in mind! Are we going to take the time to implore God to move, then watch with anticipation, and join in to give ministry support to our people when His Spirit breaks out? Or are we more concerned with simply playing the songs, thinking about what we are eating for lunch, what football game is coming on, how our hair looks, what people thought of our singing or playing, or if they liked the new song we wrote? 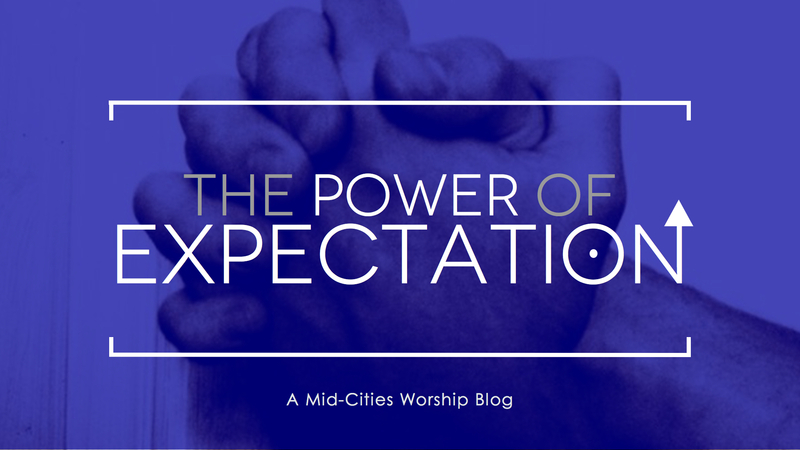 What would God do if, even as a worship team, we approached every Sunday with a heart of expectation? 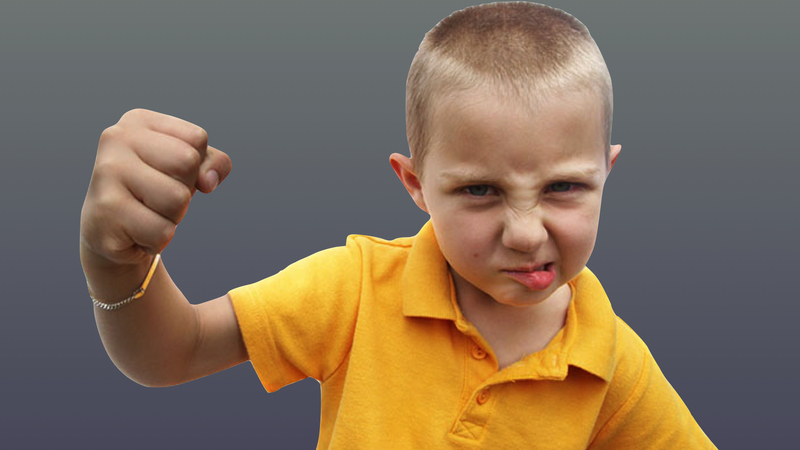 What does God withhold from us when we don’t? One of the most sobering scriptures to me is, “He [Jesus] did not do many miracles there because of their lack of faith” (Matthew 13:58 NIV). That is heavy. On the contrary, Jesus once asked two blind beggars, “Do you believe I can make you see?” “Yes, Lord,” they told him, “we do.” Then he touched their eyes and said, “Because of your faith, it will happen.” (Matthew 9:28-29). What are you believing God to do every time you step onto the stage to lead worship? No matter if you play an instrument, run the lyrics, run the soundboard, or lead out a song, are you sincerely coming with an expectation of God’s manifest presence? The good news is that if we’ve missed it, we can change our heart and the heart of our teams immediately and watch God breathe new life into our ministries! If we want God to move, we must expect Him to move. David writes, “In the morning I lay my requests before You and wait in expectation.” (Psalm 5:3 NIV) The key word is expectation. Expecting God to move shows Him that we truly believe in Him and His Word. I want to remind us all of one thing before we go. Just because we can’t always physically SEE what God is doing during our corporate times of worship doesn’t mean that He isn’t sending earthquakes in the hearts of our people. His promise is that if we pray with passionate expectation, He will move. I believe that if we stay persistent, the fruit of our faith will allow us to eventually see more and more freedom in our worship services, voices lifted in fearless praise, hands lifted high across the sanctuary, miracles in our midst, marriages healed, lives transformed, blinded eyes to see, lame to walk, addictions broken and perhaps one day… REVIVAL in our nation! 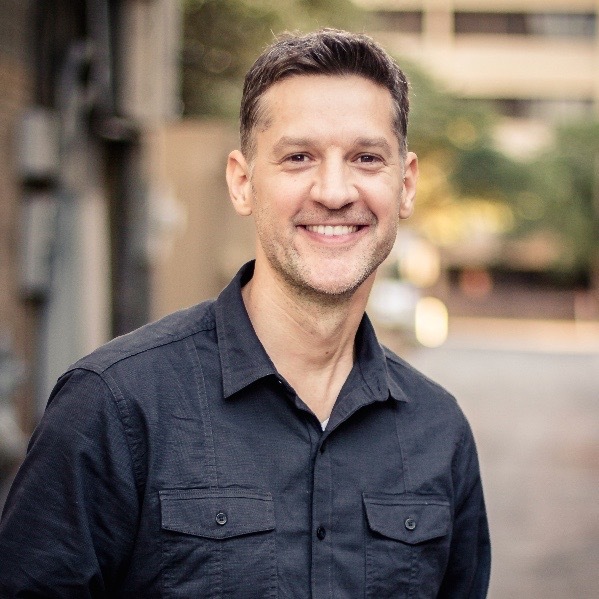 Lane Oliver is the Worship Pastor at Mid-Cities and has been on staff since 2005. He is married to Mistie, and they have two beautiful, energetic little girls. Lane loves training worship leaders, teaching people about worship, and helping them understand the freedom, boldness and power that worship brings in their relationship with God.